The Skinny: A questionable title highlights this downer thriller/drama from Ann Hui that purports to actually mean something. What it means is a mystery, however. 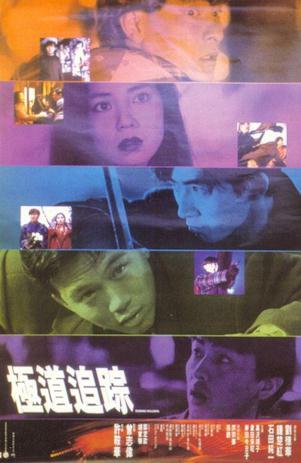 This thriller drama set in Japan has Chinese New Wave written all over it, which is no surprise as Ann Hui directed it. Cherie Chung stars as a Chinese student in Japan. In the day, she goes to school. At night, she's a part-time bar girl. Everything seems fine until her Yakuza boyfriend gets offed, leaving her with some vital info to pass onto his boss. However, she finds herself on the run and without much help. The only person she can turn to is Andy Lau, who has a thing for her. Still, they're in over their heads, as the nihilism of their situation sets in. Where can they go, what can they do? Somehow it all leads to the desolation at the heart of the modern Asian soul, or something to that effect. Simply put: IT ALL GOES TO HELL.